Mahindra Adventure recently concluded its flagship drive event, The Summit Drive 2018 to the Everest Base Camp. The Summit Drive is the first Indian automotive manufacturer-led expedition to the Base Camp of Mount Everest, says Mahindra. 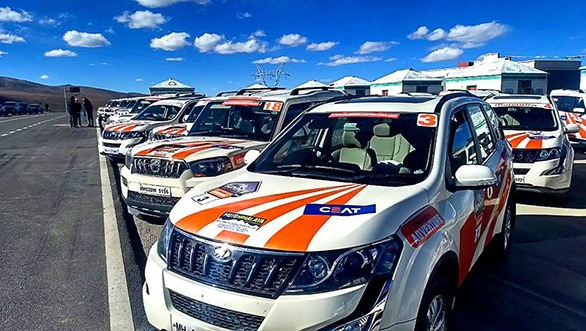 This expedition saw a convoy of 25 Mahindra SUVs, which included Scorpio 4WDs, XUV500 AWDs, Thar 4X4s and a TUV 300 Plus, cross international borders and varied terrain, covering 2,500km over 14 days. 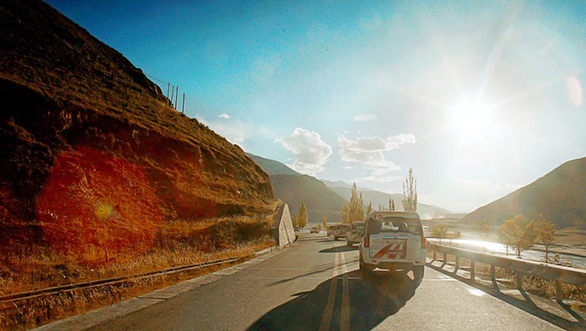 The Summit Drive took participants to Lhasa  the capital city of the Autonomous Region of Tibet. The expedition was flagged off from Kathmandu on September 22, with the convoy then tackling the rough undulating trails of Nepal to get to the border town of Syabrubesi, on the way to Kyirong at the Tibet border. Once inside Tibet, the participants cruised from Shigatse to Lhasa, crossing 20 high-altitude passes and driving through mountain valleys. At Lhasa, after visiting the Potala Palace, the convoy drove up to Shegar. Then the SUVs took the less travelled path to Rongbuk Valley and then on to Tingri. 100km later, the convoy arrived at its destination - the Everest Base Camp.